Wu Yishu impresses vast majority of viewers with cool-headed erudition. 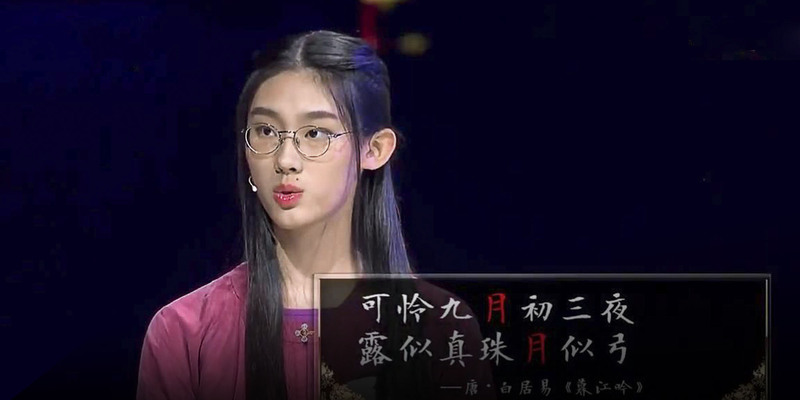 A 16-year-old high school student has won admiration from TV viewers and internet users alike after storming to victory on the second season of “Chinese Poetry Conference,” a show broadcast nationwide on which contestants recite classical verse from memory. Literature lover Wu Yishu, whose school in Shanghai is affiliated with the prestigious Fudan University, wowed judges with her encyclopedic knowledge of China’s poetry corpus, which stretches back over two millennia. In the run-up to Tuesday’s glitzy final — something of a cross between a spelling bee, a classical recital, and hit talent show “The Voice” — Wu displayed an exhaustive knowledge of the country’s most renowned wordsmiths, coolly quipped the preceding or succeeding line of verse when given one in isolation, and meticulously rearranged jumbled-up Chinese characters into lines of famous poems. And then in the ninth, they come in at the door. In the tenth, the cricket creeps under my bed. 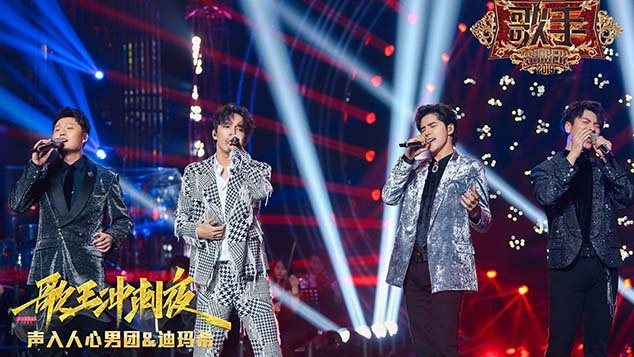 Wu’s barnstorming performances earned gushing praise from the show’s judges, in particular Meng Man, an associate professor at Beijing’s Minzu University of China. “The truth, goodness, and beauty of poetry has sunk into her heart,” Meng said of Wu. “When she stands there, so calm and composed, that poetic spirit emerges. This is exactly what we mean when we say that ‘with learning in one’s heart, the brilliance of one’s countenance comes bursting forth,’” he concluded, quoting a line from “A Parting Gift to Dong Chuan” by the 11th-century poet Su Shi. The show itself has performed exceedingly well, too: The final episode shot to the top of the country’s TV ratings, reportedly capturing 30 percent more of the market share compared to its nearest competitor. In doing so, it has taken its place alongside several other recent shows documenting Chinese traditional culture that have likewise proved unexpectedly popular with viewers. There is a long tradition of reciting poetry in China, where people who can quote classical verse off the top of their heads are generally viewed as cultured and well-educated. The country’s imperial civil service examinations, abolished at the end of the Qing Dynasty, often required would-be officials to memorize, quote, and create poetry under test conditions. Today, high school students who take the gaokao, China’s national college entrance exam, are tested on their knowledge of key lines of classical poetry and prose, many of which have since become everyday expressions. However, Wu’s familiarity with an estimated 2,000 full works of poetry — in addition to her refined spoken performances — far exceed the requirements of the gaokao. Wu’s task is complicated by the fact that most poems are written in classical Chinese — an archaic, highly stylized form of the language that bears little resemblance to modern Mandarin. As a result, students frequently have to learn both the original form of the poem and its modern “translation,” in much the same way that students of English literature learn the works of Chaucer or Shakespeare. Online reaction to Wu’s achievement was generally positive, focusing on her demure, composed demeanor as much as on her exceptional powers of recall. “Her abilities are mind-blowing. This pretty young girl … from Fudan High School has lived up to all my dreams of an ancient cainü,” wrote user Fan Jianping on microblogging site Weibo, using a term denoting the cultural ideal of a beautiful, elegant, and erudite young woman. “Yishu is only 16 years old, but whenever it’s her turn, she never gets flustered. She just calmly answers the question,” posted another admirer.